Un article du site Skyfall. Tout à coup chacun joue la prudence – attendant de voir si BARD 1 fonctionne. Au fond ils commencent à se demander si l’ensemble du projet est faisable ou non, question qui aurait dû être posée il y a des années. Sur le web. Traduction de l’allemand Scaletrans. The print 35/2014 edition of Spiegel magazine focuses on the growing failure of Germany’s first ambitious offshore wind energy project, BARD Offshore 1, which aims to be a model for the world in providing clean, green energy on a large scale. BARD 1 windpark spooks the entire German offshore wind industry, plagued by major technical problems with no end in sight. Photo: Bard. So far things hardly could have gotten any worse technically, and now financially and legally. For Germany, a highly admired nation when it comes to science, engineering, and technical prowess, the large scale energy project threatens to morph into an embarrassment of monumental dimensions. See more background here and here. 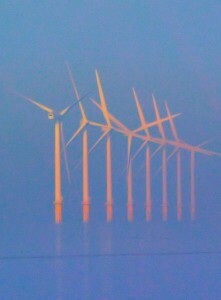 The trouble surrounds the BARD 1 offshore windpark in the North Sea. Originally the park had been officially opened last year in August, but had to shut down almost immediately because of technical faults. Then in March, 2014, engineers tried once again to bring the massive windpark online, again they were met with failure as “wild current” fried filters an offshore electrical converter station after a just a few mere hours. Today, 6 months later, it appears engineers are not any closer to finding a solution. The print edition of Spiegel writes that engineers are still scrambling to sort out the technical problems involved in bringing power from 80 turbines 100 km offshore through a converter station, and then onshore to markets. The project has now been delayed more than one year and Spiegel estimates that the lost power generation could be as high as 340 million euros in value. The problems at BARD 1 are so serious that Spiegel writes it is “a problem for the entire green energy industry“. 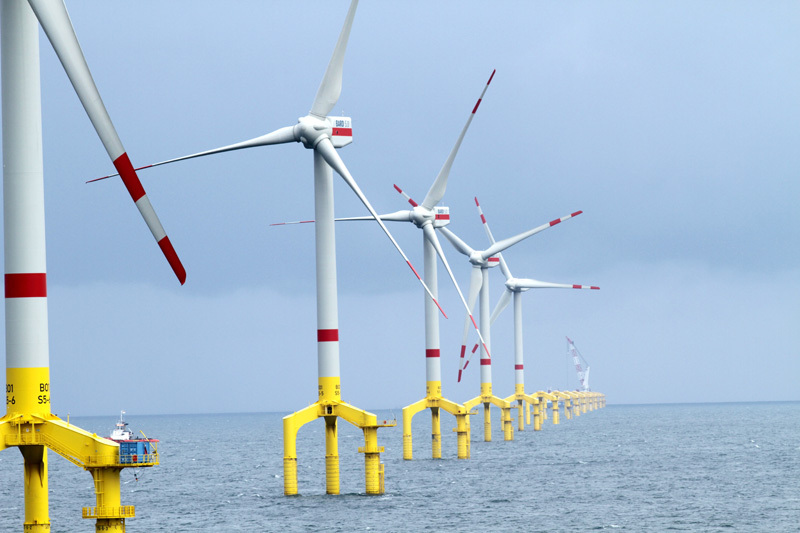 The Trianel Windpark Borkum, Germany’s second major offshore wind project, is scheduled to come online this month, but now no one is sure whether or not the park will operate smoothly, Spiegel reports. The problem, Spiegel writes, is the great distance the windpark is located from the coast, which makes it impossible to bring the power onshore with conventional technology. The power cannot be transmitted through an underwater cable as alternating current, but rather must be transmitted as DC current. Unfortunately that task is proving not easy to manage. The industry is nervous. 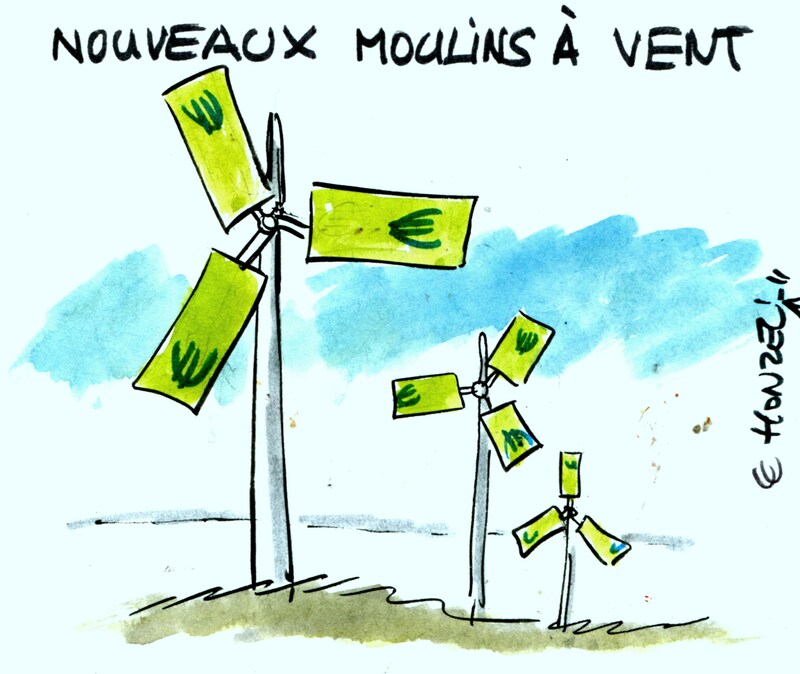 At Trianel they have put off the decision to build an additional 200 MW windpark until further notice. Suddenly everyone is now playing it safe – waiting to see if BARD 1 will make it. Finally they are beginning to think about whether the whole project is feasible or not – something that should have been done years and years ago. 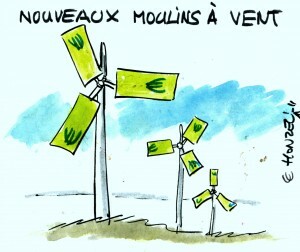 One thing is becoming very clear: In the mad rush to green energy, investors and politicians leaped before they looked. Warnings were abundant, but were simply dismissed as offhand. Now the investors and proponents are moaning loudly about the hard landing that is coming soon.